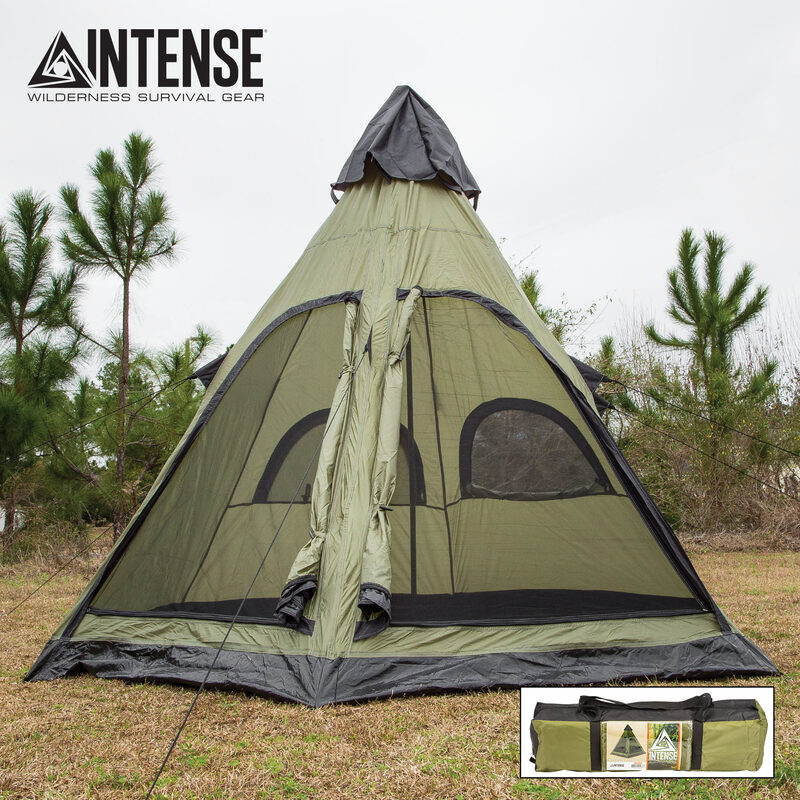 Intense 4-Person Teepee Tent | BUDK.com - Knives & Swords At The Lowest Prices! Spacious yet remarkably easy to transport, the 4-Person Teepee Tent from Intense is perfect for family outings, solo wilderness excursions and more! 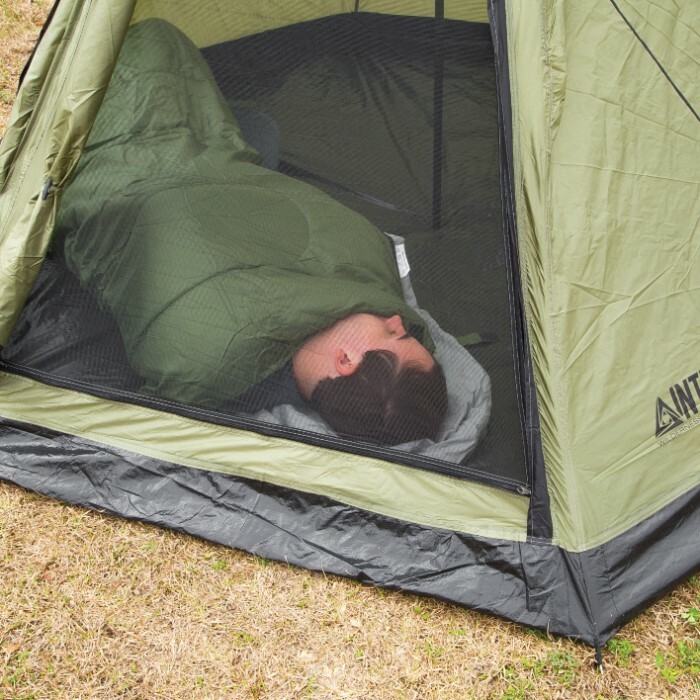 It provides a comfortable, secure refuge from the elements for multiple campers, easily accommodating four full-sized sleeping bags or even a king-sized air mattress, with ample room left over for clothes, water, flashlights and other supplies. When not in use, it rolls up tightly and packs away in a compact carry bag; it's also surprisingly lightweight, making this versatile teepee tent equally well suited to solo backpackers who want extra room to stretch out or stow gear. No matter where your adventures take you - craggy mountain ridges, sun parched deserts, windy beaches and more - your entire family can rest easy in this tough yet cozy "home away from home." The outdoor gear experts at Intense carefully engineered the 4-Person Teepee Tent to withstand the rigors and challenges of a wide range of environments. 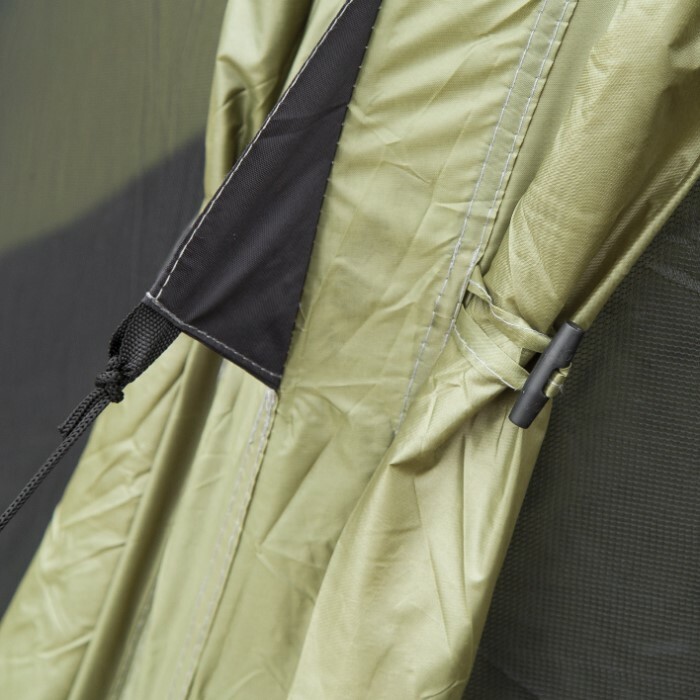 Covered zippers, shielded seams and a weather-treated rain fly ensure that not a single drop of moisture makes its way into the tent's interior, even during the most torrential downpours. 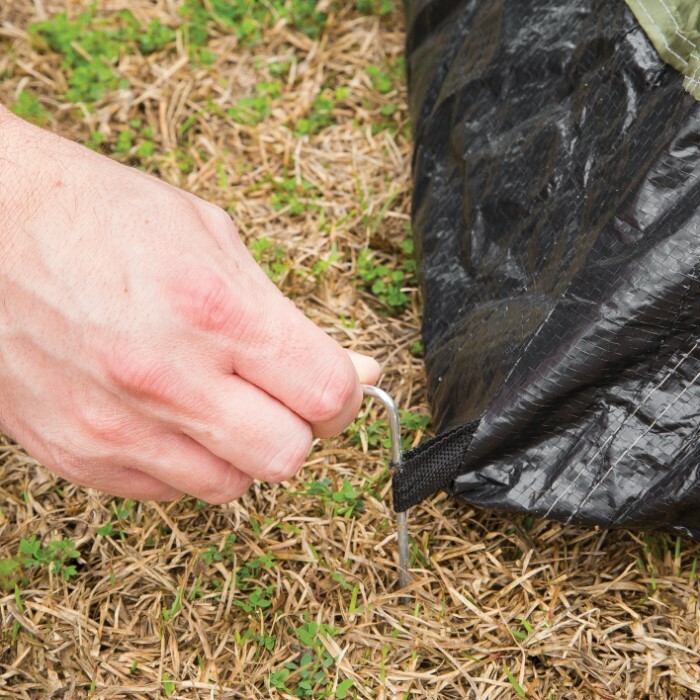 Furthermore, the ultradurable, rip-resistant polyester shell features an advanced weather-resistant coating that wicks away moisture and guards against damaging UV radiation. With its tenaciously strong steel center pole and steel anchoring stakes, not even 30+ mph winds can bring down this rock-solid portable shelter (when properly anchored)! And speaking of wind, setup is a "breeze," thanks to snag-free, continuous pole sleeves. Large mesh windows and vents increase air circulation, keeping you cool and comfortable. There's even multiple interior storage pockets for stowing electronics or other gear and a handy interior hook for hanging clothes and the like. Best of all, you don't have to pay a premium price for all these premium features. 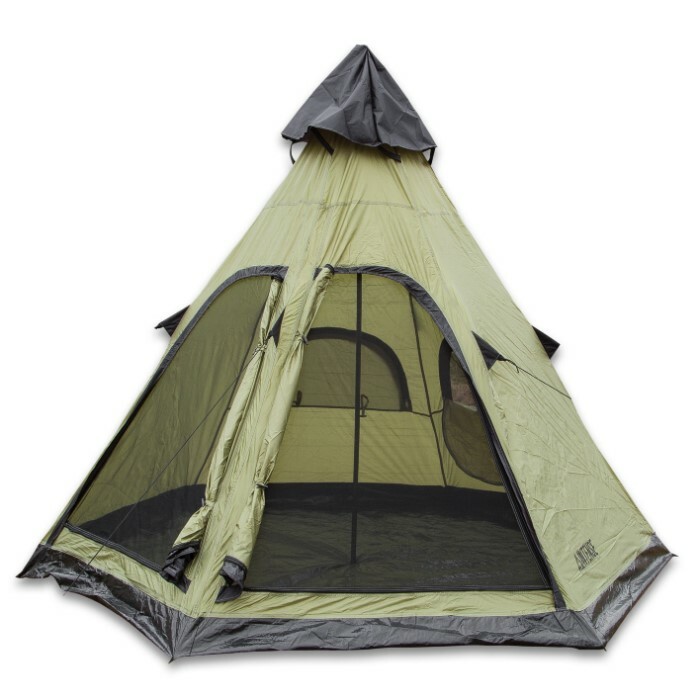 The Intense 4-Person Teepee Tent is surprisingly affordable, yet it boasts a level of quality that rivals tents priced two and three times as high. So what are you waiting for? 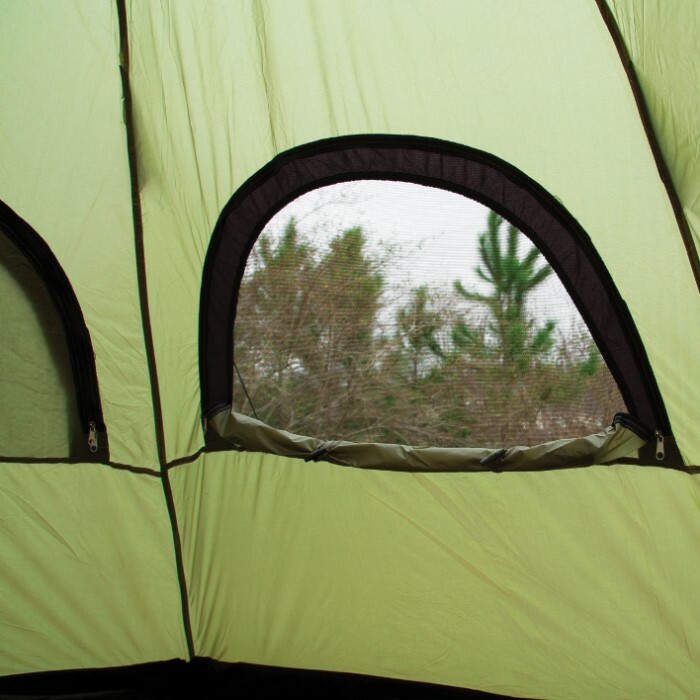 With this extraordinarily versatile, rock-solid tent in your pack, "home" is anywhere you roam. Order today and hit the trail! Got this tent on a free shipping sale and I'm really happy with how easy it was to set up. Just one center pole and it's done other than a few stakes. I am definitely getting one as a backup and I can't wait to take it out and use it this winter. 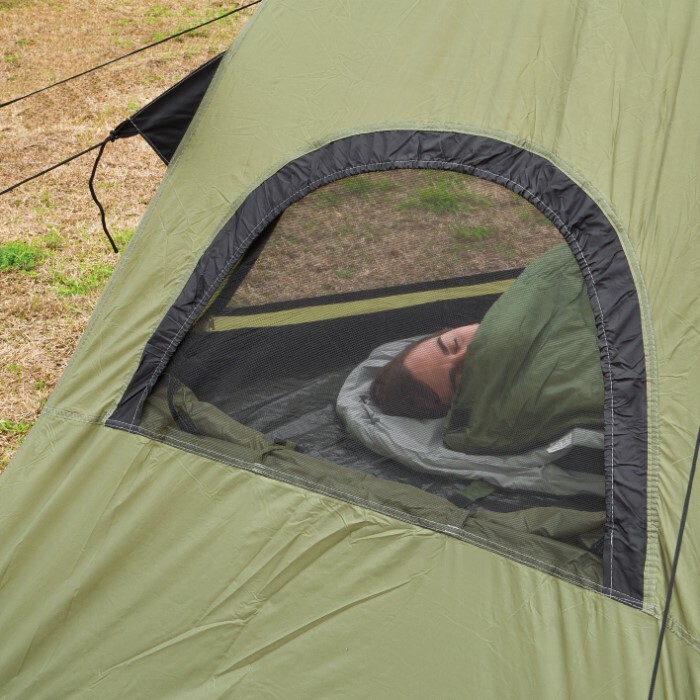 This tent is good for the price. It's supposed to be a 4-man tent, but, like all tents, it's more realistically half that many, and would be ideal for a single camper and his gear. I was looking for a tent with a small footprint tall enough for me to stand up in. This one almost fits the bill, since I still have to bow my head when I stand up in it, but, close enough. It came with one less stake than needed, and they are little wire ones. So, the first chance I get, I'll go get some better stakes, and keep these as backups. As I was setting it up for the very first time in my back yard, one of the stake loops came off. 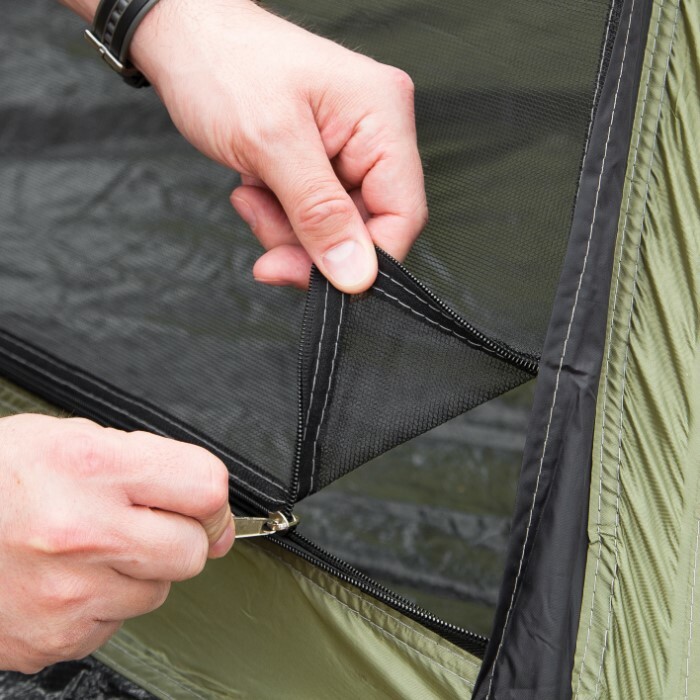 A few minutes with a needle and thread solved it, but, still, that shouldn't happen with a brand new tent. Good thing I follow the rule to always try out your gear at home before you take it out into the wilds. It only has s single metal pole, which is nice, but as I was raising it, the stakes kept pulling out. So, again, better stakes are needed, and make sure you put them in diagonally, perpendicular to the plane that they are pulling. But, for the price it seems like a good tent. We'll see how it fares over time, but, at this price, I'll get another as a backup.